The approximate location of Lewis Powell’s body at Rock Creek Cemetery. Is that a body waiting to be buried? What a strange picture. Do you have any more info on this at all? 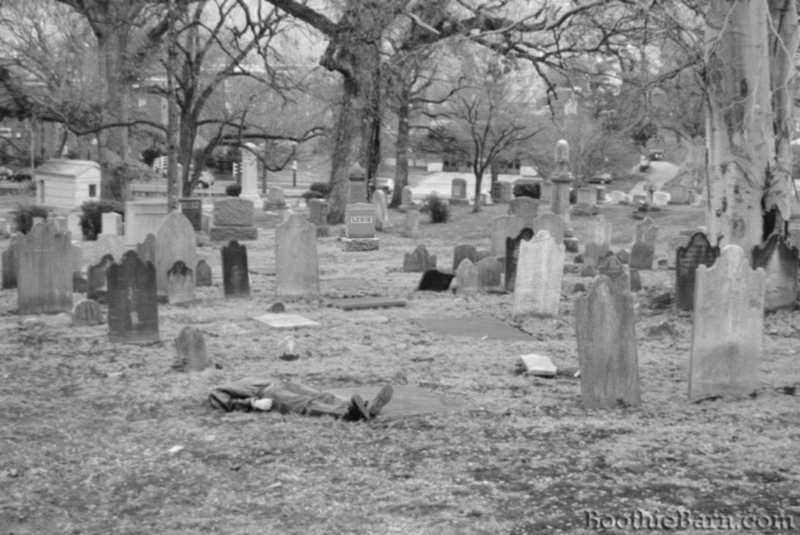 When Jim Garrett took this picture, he asked me if I would lay on the ground and portray Lewis Powell. Strange, yes, but easily explained. Oh that’s awesome! Thanks for explaining. It rather brings a ‘realness’ to it.